Every safety leader wakes up each morning looking to avoid any accidents. And, each day, you want to take steps to improve your culture of safety. That’s no easy task, which is part of why an analytics dashboard is so helpful in giving you the information you need to do just that. 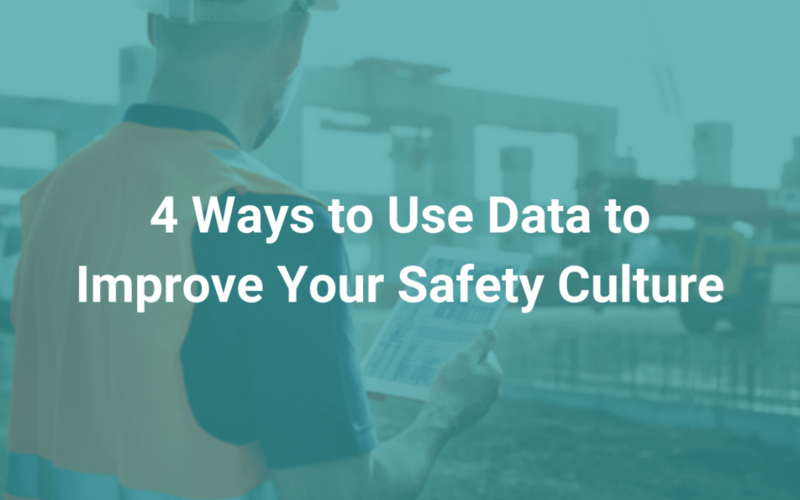 Keep reading to get a quick introduction into 4 ways you can use data to improve your safety culture. A great scorecard tells a story of what’s happened, what’s currently happening, and what needs to be done next. Part of that picture is also about improving accountability to make sure what needs to happen does happen. iReport’s dashboard is one example of a tool that supports accountability and improvement: it shares accountability documents created, proactive reports, critical actions needed, the number of days without incidents, the number of incidents, the type of incidents, and more. In doing so, it helps to make the connection between what’s been done and what needs to be done, and why. As simple as it sounds, knowing just what to do and being held clearly responsible for it is invaluable in supporting a safer culture. It’s clear that there are costs to any incident or accident. Direct costs include property damage, theft, workers’ comp, fatalities, lawsuits related to injuries (or worse! ), and legal fees in general, just to name a few. But if an incident happens, there’s also harm done to your company’s brand and goodwill, your reputation, and it affects employees’ trust and morale. It can negatively affect productivity and it can affect the kind of talent you’re able to recruit and hire in the future. What’s more: there is also a long list of indirect costs: downtime per day, distraction, and your insurance premium increase. The point is this: effective data will allow you to show at least some of these indirect costs. That’s a powerful tool when it comes to showing ROI and in giving a strong rationale for future safety investments. One of the best ways to see if your data is working for you: whether or not your data has the ability to prevent future occurrences of a similar or same type of incident. If your data (or dashboard) isn’t informing you of ways to make changes, you have a major opportunity for improvement. For example, iReportSource’s dashboard generates a real-time view of near miss by type, top causes for corrective action, and Total Case Incident Rate (TCIR). It also gives you a snapshot of other key incident and inspection metrics. Based on what’s most meaningful to your company, it captures behavior-based steps/actions that have occurred so you can know exactly what’s going on and where. iReportSource’s analytics dashboard saves you more than 4 hours per week by doing the heavy lifting when it comes to compiling and generating important metrics, trends, and key data points. It’s not just about saving you less time in spreadsheets, though: it’s also about the real-time access to that valuable report. Whatever dashboard you use, be sure that anyone—from upper management to HR to safety—has quick access to your report. When everyone does have that access, there’s no more waiting on the safety leader (or another person) to send the report. That means your data is more real-time and more actionable than ever. Finally, you can easily show exactly how safety is improving each month and why. Plus, if someone leaves your company, you’re not stuck trying to figure out what he or she had completed in terms of data collection. We know you’re busy so let us do the heavy lifting! Our analytics dashboard will show you everything from ROI, cost savings, the number of safety trainings completed, and much more…all at the click of a button! Are you ready to take back the 4+ hours a week you spend preparing these reports? Request a demo today.